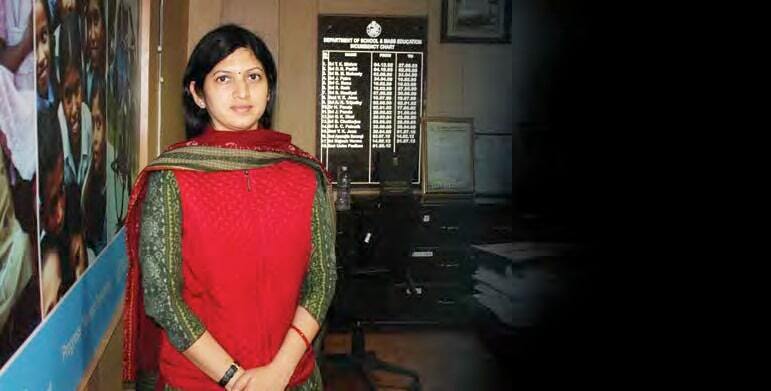 You are a young IAS officer and have been the District Magistrate of Dhenkanal. What are the major challenges you see in the administration which is becoming more and more complex? As a civil servant we get exposure to various types of challenges. At the same time the diversity in the job makes our experience enriched. We have to agree that the administration is becoming more complex. One has to have effective strategies to deliver services to the needy. Visualising the challenges, planning and implementation – needs specific skills which have to be acquired by the civil servant to be relevant and useful in the system. At the same time to ensure ethical governance, the officer should adopt ethical behaviour and demonstrate it by being the role model. Changing scenario and short tenures are an impediment in bringing the tangible reforms in the archive system is also a challenge to explore. So having the high ethical behaviour, required skills and effective infiltration strategies can overcome the challenges. A remedial teaching programme for improvement in the learning achievement level of the students on basic skills in reading, writing and numeracy for Class-II and VI is being implemented for two months in July and August, 2013 which is based on a state wide assessment of 900 schools in 30 districts. You are looking after a very important segment which is School and Mass Education. There has been apprehension about quality of education more so in value education. What are you doing to focus on value education in your schools? Many of us talk about deterioration in quality of education more so in value education. The national curriculum framework envisages the integral education where the need of the child is addressed through developing theholistic personality. The School and Mass Education Department has taken up many training programmes including leadership and motivational modules to encourage the teachers for desirable learning transaction in the classrooms. So far both the central as well as state government policies have focused on raising the gross enrolmentration (GER) in schools and somehow quality has taken backbench. What Odisha is doing to bridge the gap between quality and quantity? • Textbooks provided to all students from classes 1 to 8. • Uniforms are provided to all girls and boys belonging to SC/ST/BPL categories studying in government elementary schools. • Facilitating mother tongue-based education for children belonging to tribal community from class I to V. This is an innovative policy initiative, unique to Odisha. • School student helpline established with a toll free number 1800-34567- 22 as a part of redressal of grievance mechanism. • Child friendly school environment creating scope for encouraging child participation in classroom process. • Library and library-books are provided to all schools. • Summer camp for addressing problems of children belonging to disadvantaged group. • Residential hostels for urban deprived children established. • State curriculum developed based on NCF-2005. • Module for Continuous and Comprehensive Evaluation (CCE) developed by State Academic Authority. • Monthly performance monitoring of the activities at school level on 60 parameters done through ‘SAMIKSHA’ in 60,000 schools across the state. • Teachers’ handbook ‘SAMADHAN’ and ‘SADHAN’ (on TLH) developed and distributed to all teachers to facilitate classroom practices. • Graded reading materials ‘SOPAN’ in Mathematics in classes 1 to 3 devel- oped and distributed which is based on concepts given in the text books and Self learning materials ‘SWAYAM’ in Science for classes 6 and 7 developed to supplement the text materials. • ‘SANJOG’, set of 20 readers developed as supplementary reading materials for Classes 1 and 2. Odisha has one of the largest populations of tribal. There are credible reports available which suggests that their Gross Enrolment Ratio (GER) is comparatively low across India.How your department is addressing this challenge? The largest tribal population district of the State is Malkangiri andMayurbhanj. Malkangiri district has 57.4 percent of tribal population to the total population. GER for both the place is above 100. The GER at elementary education of Malkangiri district is 102. 23 andMayurbhanj district is 107.59. Similarly, the GER of ST at elementary level is 104.26 in comparison to the overall GER of 100.56. I think, retention is a big challenge. The state government has taken many initiatives for addressing the issues related with the retention of ST children and enhancing the GER.We have developed State Policy for Multilingual Education (MLE).Mother tongue based education is operational in 544 schools covering 61 blocks of Odisha in 10 tribal languages like Saura, Kui, Kuvi, Munda, Koya, Bonda, Santhali, Juang, Kisan, Oram in 8 districts namely Raygada, Gajapati, Kandhamal, Mayurbhanj, Malkangiri, Keonjhar, Sambalpur and Sundergarh. And, we are also up scaling of nine more languages (Gadaba, Bhumij, Ho, Gondi, Desia, Kharia, Didayi, Binjhal, Mahali) covering 4 more districts proposed and will be implemented during 2013-14. Isn’t it stereotype to keep the lady officers in identified Departments like Women and Child Development, Education, Health or some social sectors, we hardly find them leading Cabinet, Home, Finance or Defence? Honestly speaking gender bias is seen at many levels in India. Though the degree varies. It also depends on the attitude of the decision makers at the higher levels. Due to patriarchal system the numbers of women in public services are limited. This is also reflected in the number of lady officers available in the civil services. True, sometimes it becomes stereo type to keep the lady officers in identified Departments like Women and Child Development, Education, Health or some social sectors. However, times are changing and minds are opening up. I hope in near future you will see women officer in the top echelons. By the way, thinking that social sectors as less important and Departments like Defence, Commerce and Home as more important itself is discriminatory.